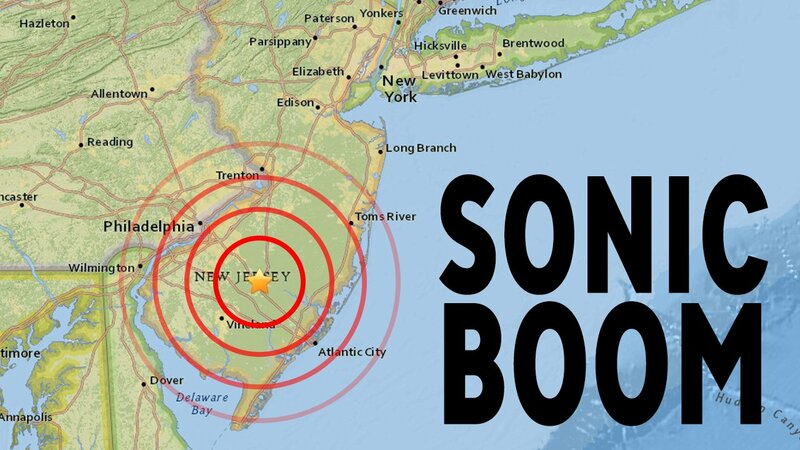 ATLANTIC CITY, NJ -- The Navy now says that flight testing done Thursday afternoon may have resulted in sonic booms that rocked towns along the New Jersey coastline Thursday. "Aircraft from Naval Test Wing Atlantic were conducting routine flight testing in the Atlantic Test Ranges this afternoon that included activities which may have resulted in sonic booms. The test wing is critical to the safe test and evaluation of all types of Navy and Marine Corps aircraft in service and in development and is primarily based out of Naval Air Station Patuxent River, Md. Other military aircraft, including both Navy and Air Force, also frequently use the ranges for testing and training." RELATED: What causes a sonic boom? The event happened around 1:30 p.m. and was felt from southern New Jersey to the Eastern Seaboard to Long Island, New York. The U.S. Geological Survey first confirmed that the event was a sonic boom. The USGS also says there were at least 9 sonic booms recorded during an hour and a half span. The USGS explained in a tweet: "A sonic boom travels through the air w/ the airplane so it arrives at different ground locations at different times." Since many have asked: A sonic boom travels through the air w/ the airplane so it arrives at different ground locations at different times.